We recently came across the Galvin Green Golf range at Golf Poser. It has a good waterproofs section too which is needed on these Scottish courses. Royal Troon Hole 2: The first few golf holes are straight, along the Ocean (though not too close as to hit a ball into it), and into the prevailing wind. This is the best of them with no less than 11 bunkers easily in play, any of which will jeopardize good chances for par. 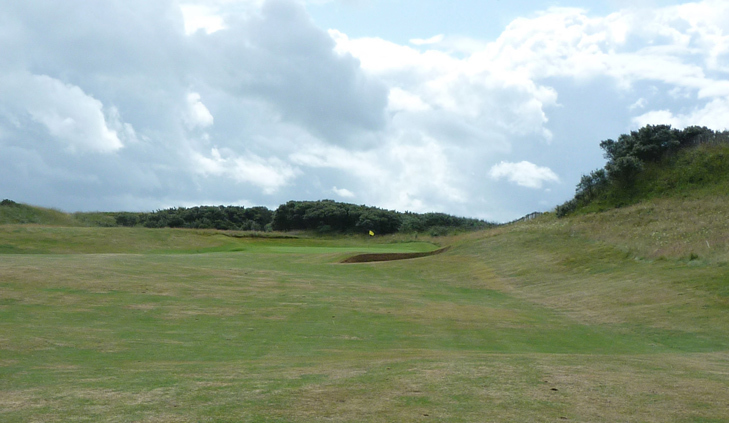 Royal Troon Hole 6: This very long par 5 heads in the same direction and style as the first five holes it follows, but whereas the first five are flat, the approach here is uphill towards the gorse covered sand dunes, which adds a degree of beauty and change not felt until this point. Royal Troon Hole 7: The most picturesque tee box on the golf course affords great views of the rest of the course and the Ayrshire coastline surrounding Troon. The player must thread the tee shot through 2 bunkers right and 4 left of the fairway. 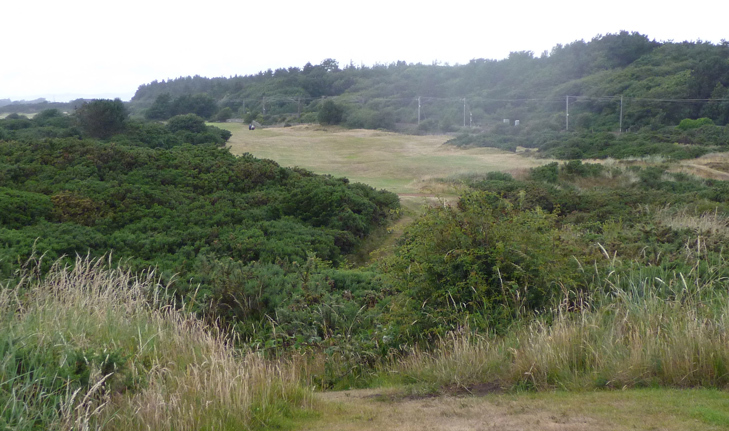 The hole then doglegs right to a green that is then surrounded by bunkers and a large dune to the right. 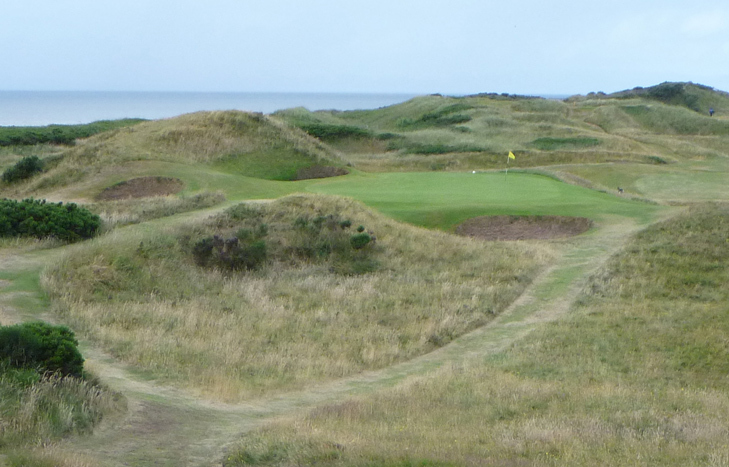 Royal Troon Hole 8: The “Postage Stamp” needs no introduction. However, as short as it is, it cannot be overstated how deadly any miss of this green surely is. 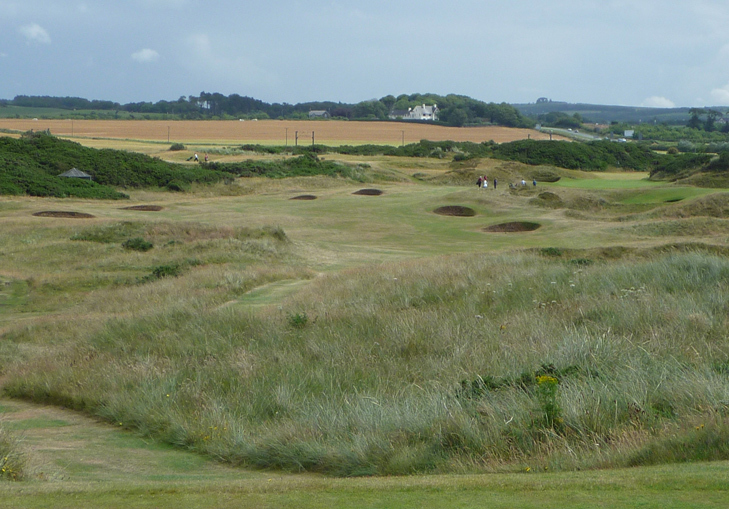 Royal Troon Hole 11: “The Railway” is long and tough from tee to green. Gorse provides the main challenge off the elevated tee with a virtual forest of it on the left side, whereas the OB right and stone wall catch the attention on the approach. Read More Scotland Golf Reviews.